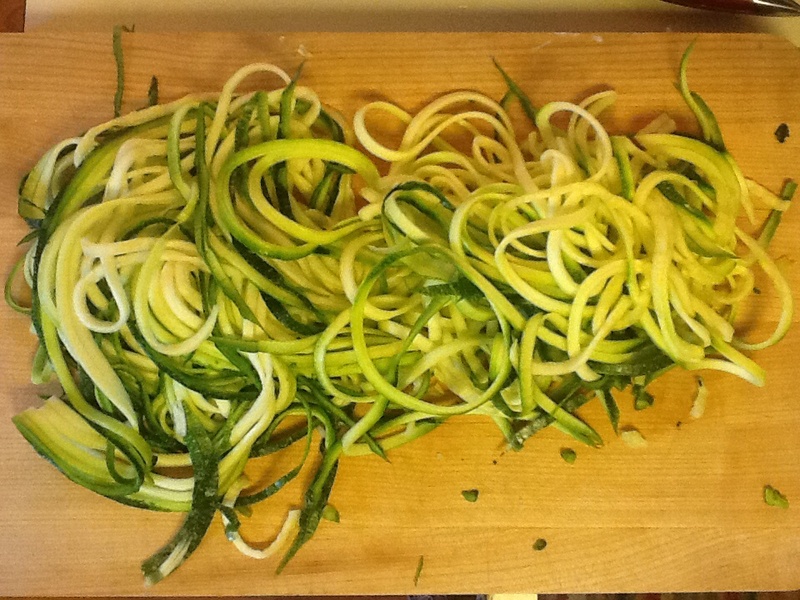 Zucchini Spaghetti | Let's Eat! Those of you that know me, know that I usually don’t think too much about calories when I cook. My friends Rena and Vic are very health conscious but also love a good italian meal. Sometimes those two things can clash. They bought me this kitchen tool that may just change the way I think about pasta! 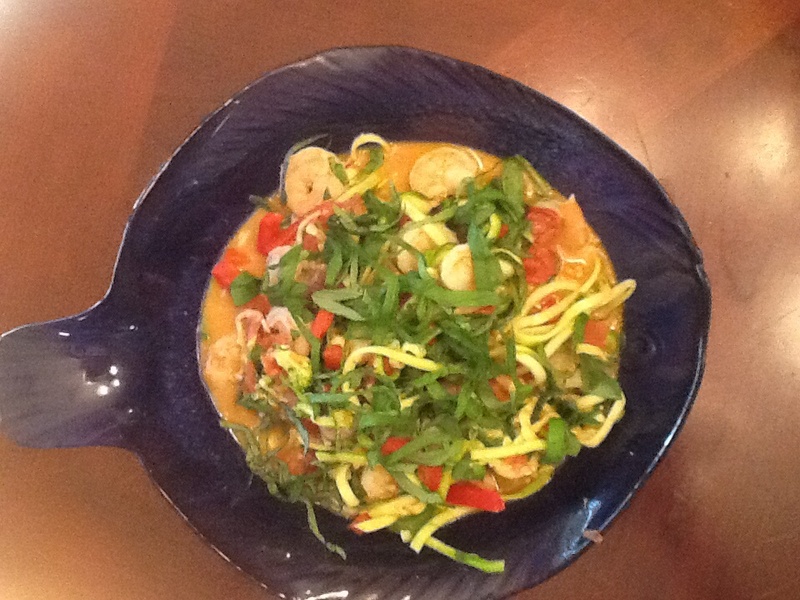 This dish dropped an 800 calorie, 160 gram of fat dish to 60 calories and 8 grams of fat! This zucchini pasta tasted so much like real pasta I had to tell the people I served it to that it wasn’t pasta! I may just be a kitchen gadget guy after all! This tool is called a Veggetti, but you could make this with a mandolin or by using a potato peeler and making larger pasta “noodles”! This tool can make both a small and large size thinkness of noodle. I’m using the larger side for this dish. You could serve these noodles with any sauce or ingredients you would normally use for pasta. 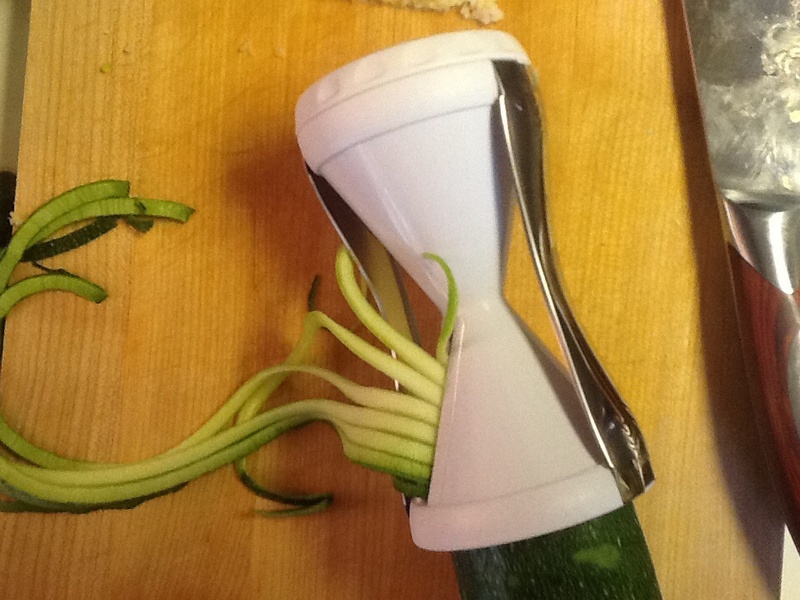 I used Zucchini, but this tool works with carrots, potatoes or cucumbers too! These noodles are good raw, boiled or in a sauté’. Today I made a sauce of garlic, tomatoes, sour cream, chicken stock, onions, broccoli, and shrimp! I added the zucchini noodles at the end just prior to the shrimp being completely cooked and cooked them for about 3 minutes. I hope you enjoy! Ciao, Mike! 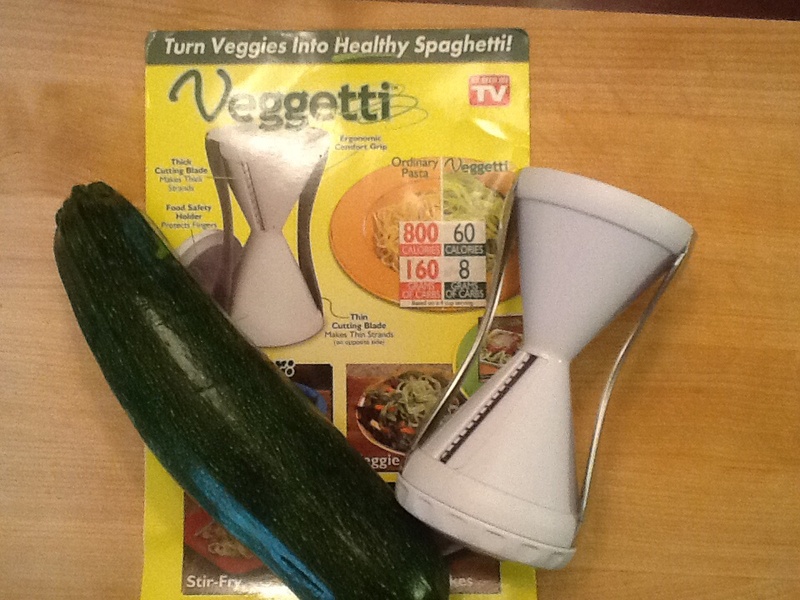 This entry was posted in Cooking tools, Recipes and tagged Veggetti, zucchini pasta, Zucchini spaghetti. Bookmark the permalink.